The quilting on my Gwennie Medallion has begun. I planned to use 60 weight Superior Sew Fine, but I’ve had a lot of issues with thread breakage. Now I am back to my old stand by, Glide thread. No more problems. Her are a few sneak peeks. It’s very slow going right now. 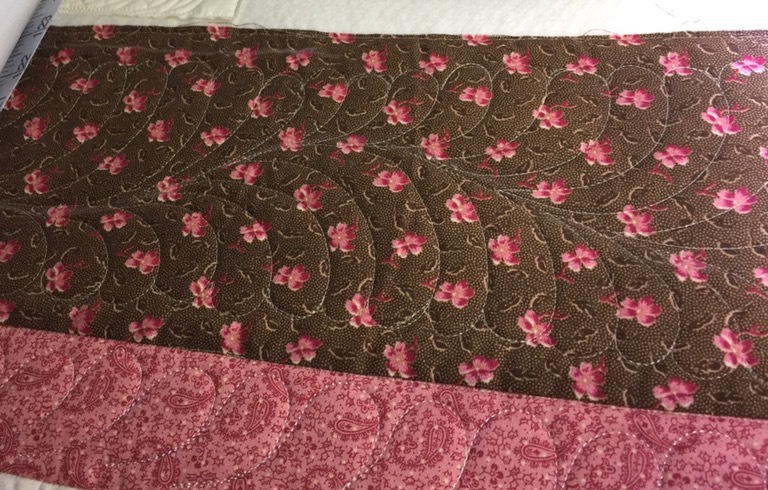 Some of the quilting I love, some parts I want to rip out. Trust me, online pictures can hide a multitude of sins! So far so good. Your’s is one of my favorite! 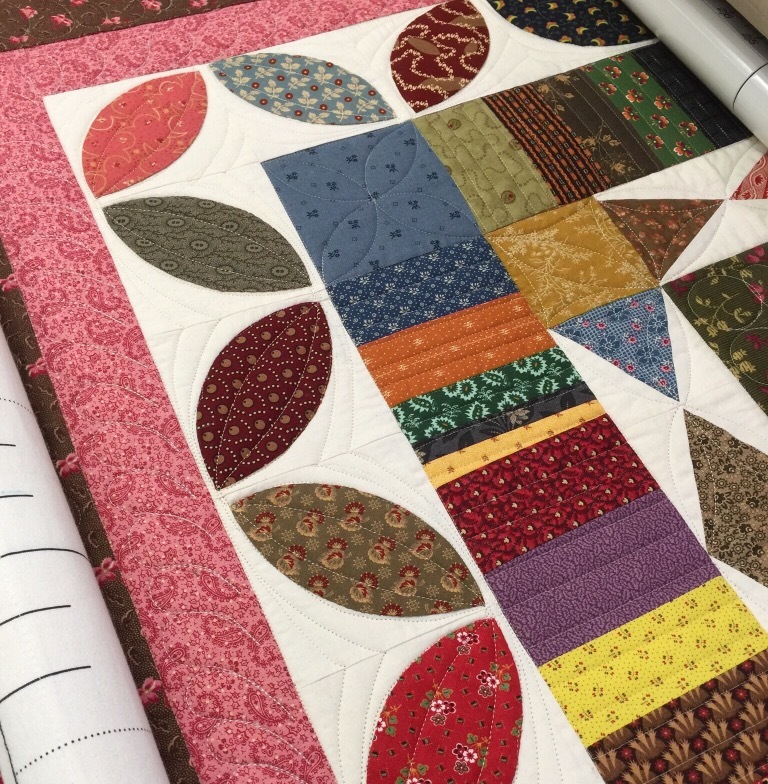 The quilting is looking great, Katy! 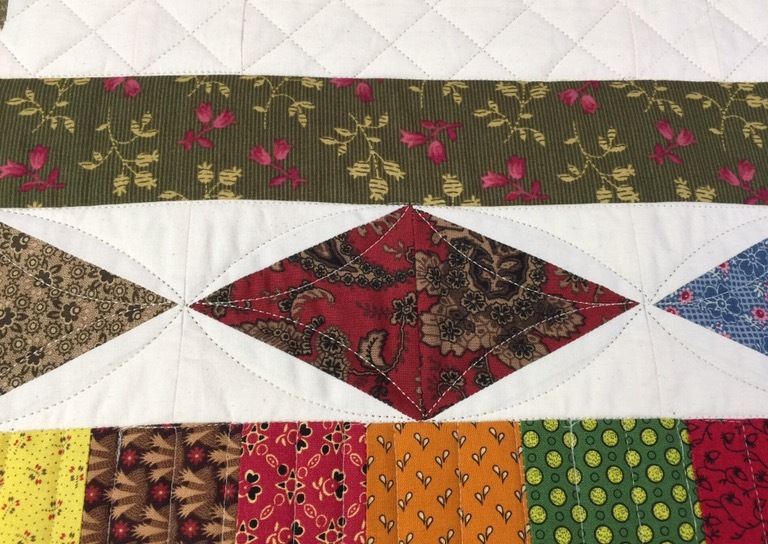 I really like the variety of quilting designs, and I love the feather quilting in the outer border! This is going to be an amazing quilt!! Looking great!! I love your comment about online pictures – it’s so true!!!! Looks absolutely fantastic! And problem areas that don’t show up on camera aren’t likely to be noticed by anyone but you. Hate to see you make more work for yourself. Wow! I think I need a longarm! Beautiful. It’s looking lovely. We are our own worst critic! Do you have micro handles for doing something this size? I think this is going to be spectacular!